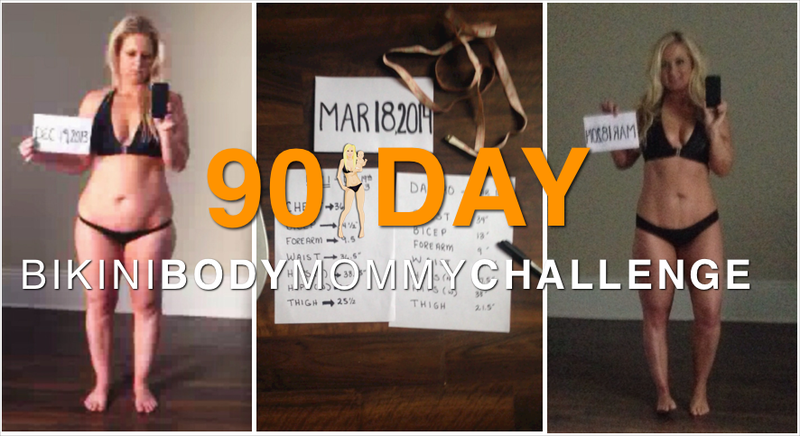 ITS HERE BIKINI BODY MOMMIES... DAY 90 Of My BIKINI BODY MOMMY CHALLENGE and MY OWN Personal Progress Results Are IN! On a serious note ... I REALLY WENT ALL OUT on DAY 1 and showed things about my body that most women wouldn't accept a million dollars to display. Yes, you read that right ... A MILLION DOLLARS. 90 DAYS LATER –– sans the 8.5" inches of hanging, flabby, saggy mommy-belly, I'm SO glad I captured the state my body was originally in when I started. I still have a ways to go, but if my progress footage inspires, helps, or empowers even one other BIKINI BODY MOMMY to realize that your body ISN'T RUINED and it ISN'T a "Lost Cause" after having kids -- Then it was worth it. I can't wait to see YOUR OWN PROGRESS PICTURES and read your stories about how the challenge over the last 90 Days has changed your own bodies... and lives. Older PostAre YOU following the Exclusive "BEHIND THE SCENES" Fun?